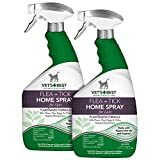 GreenFort NEO Bio Spot-On is one of the best flea & tick prevention for dogs, cats and rodents by Beloved Pets Inc. New Formula developed by the best veterinarians allows you to make protection for your pet from parasites as effective as possible. 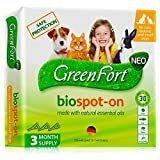 Сreated on natural ingredients (natural essential oils), GreenFort NEO Bio Spot-On provides gentle protection for your pet from parasites such as fleas, ticks, withers, mosquitoes, flies, horseflies for three months minimum. GreenFort NEO BioSpot-On for any weight of your pet : GreenFort NEO BioSpot-on, for cats, rodents and dogs under 10 kg Green Fort NEO BioSpot-On, for dogs 10-25 kg Green Fort NEO BioSpot-On, for dogs over 25 kg What is the difference between the other flea & tick treatments? 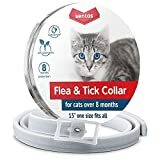 This flea treatment for dogs and cats is really effective against fleas and can be used with the other brands: Advantage, Seresto flea collar, Frontline Plus, Adams etc. GreenFort NEO Bio Spot-On made of natural components so it is completely safe for your beloved pet Ideal for pregnant and lactating pets, kittens and puppies over 7 weeks old, pets with allergies, sick and convalescent pets The guarantee of the effective flea & tick control up to 3 months Really saves your money because at a low price you get a really effective dogs flea & tick control Attention: GreenFort NEO Bio Spot-On causes no allergies and no irritation to the skin of your pet. BUT if you notice any strange behavior or something else it's better to stop using this flea treatment and contact a veterinarian. Place your order now and get the best results with the GreenFort NEO Bio Spot-On Flea and Tick Control for dogs and cats for the best price! Flea Away is a vitamin complex, specifically formulated for dogs and cats. Flavored with real liver, your pet will love them! What makes Flea Away different from alternate flea repellents is that fleas don't get on the dog or cat's skin and bite before finding chemicals and going away. The pests simply stay away from your pet because of the odor (undetected by humans) that your pets skin gives off. With Flea Away Your dog or cat's skin gives off a natural smell caused by the special safe mixture of vitamins. If your dog or cat has an allergic reaction to flea bites, then Flea Away is the way to go. The fleas, ticks and mosquitoes are naturally repelled before biting your pet. Dosage: cats: 1 chewable tablet 1 time daily. Dogs: up to 50 pounds - 1 tablet 1 time daily, 51 to 100 pounds - 2 tablets 1 time daily, 101 to 150 pounds - 3 tablets 1 time daily. Please allow 30 days of use before seeing results as product needs to be in the system. Formulated specifically for cats. 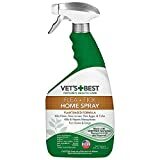 Declare war on fleas and ticks while keeping your home and family safe from harsh chemicals with Vet's Best Flea and Tick Home Spray for Cats! Our unique blend of certified natural oils kill fleas, flea eggs, and ticks by contact; and the non-staining formula can be used without fear on surfaces in your home. Combiva II for cats is a monthly flea preventative that offers comprehensive flea protection by killing adult fleas, larvae, and eggs. Combiva II effectively kills adult fleas and prevents further re-infestation, breaking the flea life cycle and preventing flea eggs and larvae from developing into adult fleas. Waterproof after application, Combiva II kills re-infesting fleas within 2 hours. 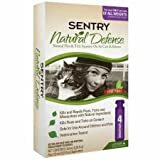 SENTRY Natural Defense Natural Flea and Tick Squeeze-On for cats kills fleas, ticks and mosquitoes for up to four weeks, yet it's safe to use on your cat or kitten and around your family when applied as directed. Each carton contains four monthly applications that feature natural active ingredients such as peppermint oil, cinnamon oil, lemon grass oil and thyme oil. Take the hassle out of flea infestations! 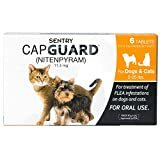 Get rid of fleas fast with Cap Guard (nitenpyram). Compare to Capstan (nitenpyram), same active ingredient used in the vet channel. * Cap Guard is an oral flea control medication available over-the-counter to consumers like you. This easy-to-dose tablet begins working within 30 minutes. 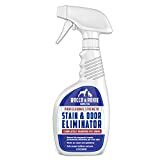 It cuts out the mess and does exactly what you need it to do: kills fleas fast! Give this effective and hassle-free product a try! Available for dogs over 25lbs, or for dogs and cats 2-25 lbs. *Capstan is a registered trademark of Novartis. &#x1F408;Adjustable The collar for flea and tick prevention for cat will be ideal for both tiny and big cats because it is 13 inches in length and you can adjust it according to your pet's neck size. 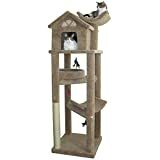 You can easily cut off the excess length and put it in your cat's home for extra protection. &#x1F408;Non Allergenic The kitten flea collar contains only natural materials and doesn't cause allergy even in a small kitten organism. With these flea collars for cats, your pet will feel comfortable and safe. 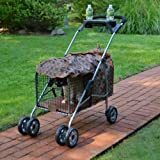 However, if some symptoms of allergy are observed or your cat feels uncomfortable, it's better to take it down and use other treatments of flea and tick for cats. You can use flea pills for cats as well. &#x1F408;Waterproof You should be afraid that the cat flea tick collar will get wet while bathing, you can leave it on your cat's body with no fear that it could lose its efficacy. However, if long-term swimming and bathing are expected, it's better to take it down in order to not decrease the cats flea collar lifetime. 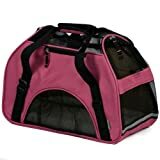 &#x1F408;Safe packing The cat flea and tick collar is packed in a foil bag to save its properties for a long time. 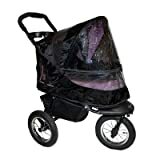 In addition, manufacturers put the foil bag in a metal tin to prevent any damages of the product while the delivery process. You can be sure that the flea control collar won't lose its efficacy. &#x1F408;Slight smell The collars of flea and tick prevention have a slight smell caused by the ingredients that fight fleas and tricks. Don't be afraid, it's totally harmless for your pet. The smell is sweet and causes no irritations in your cat's organism. 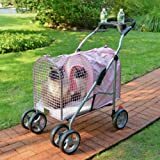 &#x1F408;Use everywhere You can use it when your pet is in your car, in your house or outdoor, it even suitable and good for dogs. This collar will be preventing and will be strong repellent from fleas and ticks for your large, medium cats or small kittens as a guard and simple effective medicine. This collar is a good decision for tick flea prevention. Your cat flea free! A monthly treatment that controls and prevents flea eggs and flea larvae for 30 days. This formula prevents re-infestation for 1 month. Do not use on kittens less than 12 weeks old. Package contains 3 monthly treatments.